What's Your Style of Kitchen Design? Home / News / What's Your Style of Kitchen Design? Let’s talk about kitchens, a space that we cook, eat, socialize, and entertain in throughout the year. A kitchen is one of my favorite things to design. There are a lot of people who think they know what their personal style is when it comes to designing a kitchen. However, it is quite difficult to express with words rather than seeing a picture and saying, “I like that one!” Before you read on, I want you to pick a style of kitchen that you think represents your style. Here are your choices: Farmhouse kitchen, rustic kitchen, modern kitchen, traditional kitchen, transitional kitchen, contemporary kitchen, craftsman kitchen, cottage kitchen, eclectic kitchen, and classic kitchen. I’m sure you could probably associate certain images with these variety of kitchens, but let’s talk about what makes each one unique and different. Farmhouse Kitchens. Farmhouse kitchens have become very popular within the past couple of years. Why wouldn’t they? Anyone who wants to create a “homey” or family oriented vibe in their space, lean towards a farmhouse kitchen. It not only looks great, but it is a functional, easy to clean space. The wide sink, open shelving, large table or island in the middle are just some of the elements that a farmhouse kitchen has to offer. Rustic Kitchens. Many people might use the word “rustic” to describe a farmhouse kitchen, but Rustic Kitchens offer some similar, yet completely different elements. While 80% of farmhouse kitchens have the white cabinets, rustic offers a dark oak or timber wood. Accents might include, stone, masonry, and brick. 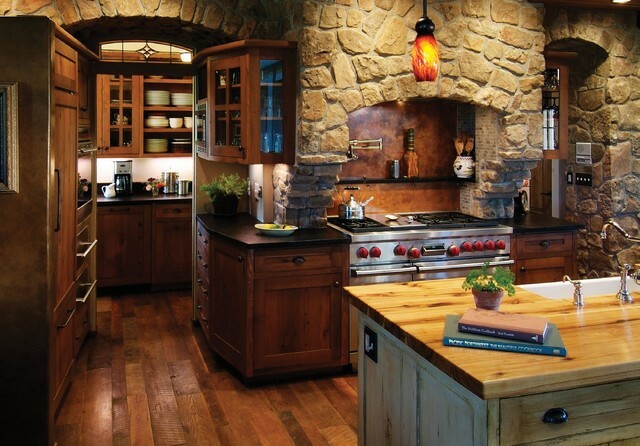 Rustic kitchens tend to be a bit darker and have a cozier feel. Modern Kitchens. Modern is a word that we hear often. It can be used to describe an era and style. 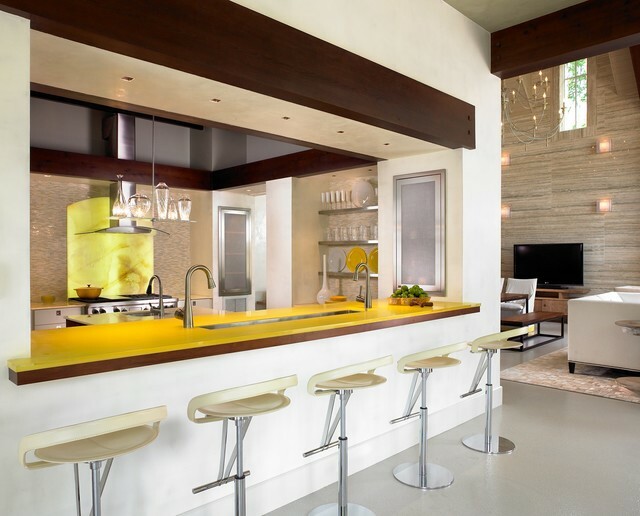 When we use the word modern when describing a kitchen, we associate that with minimalism. The cabinets are slab doors, without any ornamentation. There are long horizontal lines that force your eye to glide left to right throughout the space, and simple, clean fixtures and hardware. Traditional Kitchens. Traditional kitchens are very much the opposite of a “modern” kitchen. While modern takes on a minimalistic approach to design, traditional is all about the detail. Each cabinet is a piece of furniture, so to speak, with turned legs and moldings. The door panels are very ornate and have raised panels. Opposed to modern, there are a lot of arches in the cabinet style. Contemporary Kitchens. Contemporary kitchens are similar to modern kitchens in the sense of clean lines, however they are not so “sterile” looking. The choice of materials and the forms are lively. For example, in a modern kitchen, you will see a lot of straight horizontal lines, while a contemporary kitchen mixes different line forms such as a curve. There are changes in the material whereas a modern kitchen uses one material in abundance. Transitional Kitchens. 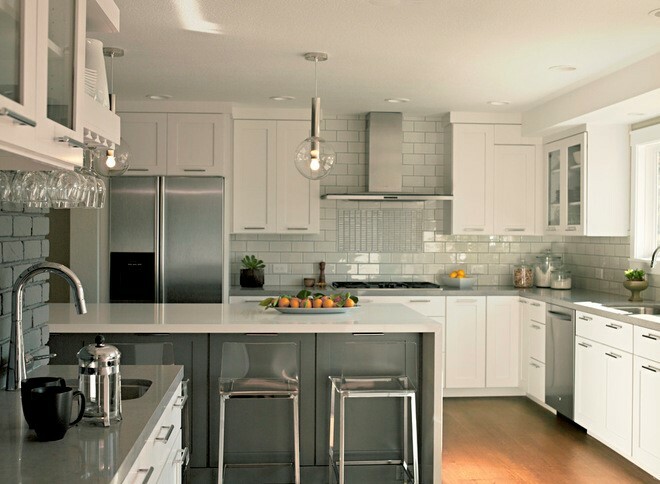 Transitional Kitchens are the perfect marriage between a contemporary and traditional kitchen. Elements from both styles can be found in a transitional kitchen. Craftsman Kitchens. Craftsman kitchens are known for being a style that is rich in woods and hand crafted materials, such as tile. 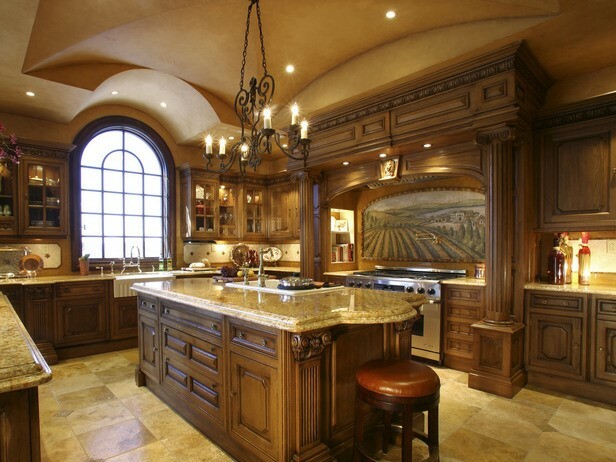 Cabinetry is the most significant element within the style for craftsman kitchens. Which style of kitchen is yours? Maybe you have an eclectic style and like to mix all the styles. Let me know in the comments below what your favorite style is!